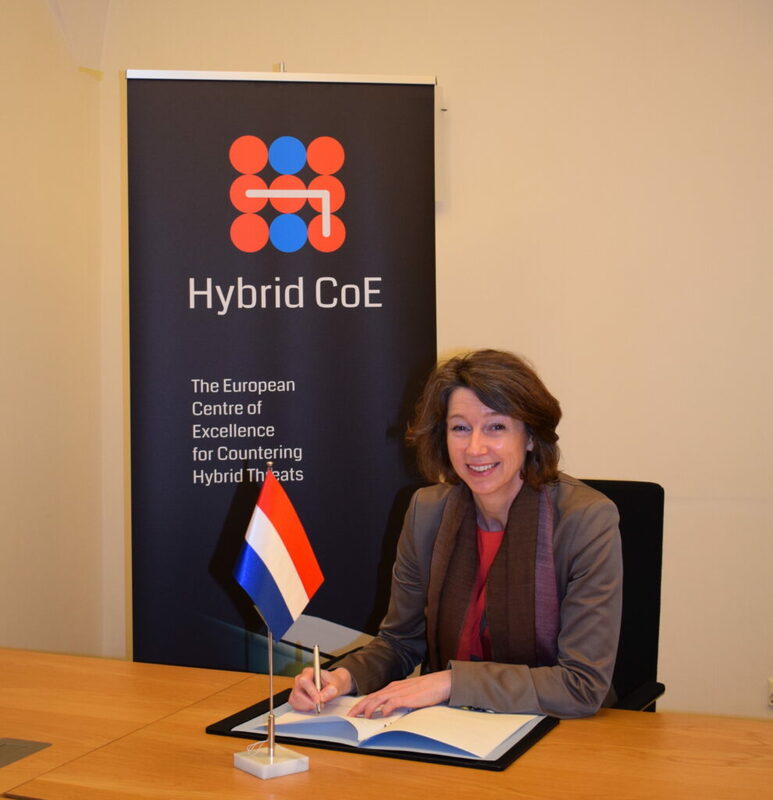 Ms Hester Somsen, Director for Security Policy at the Ministry of Foreign Affairs of the Netherlands, this morning signed the Memorandum of Understanding and the Netherlands became the 13th participant in the European Centre of Excellence for Countering Hybrid Threats. Dr Matti Saarelainen, Director of Hybrid CoE, was pleased to get a new participant on board. “I’m sure that the Dutch with their wide expertise in hybrid threats will bring new insights to our activities and make our network even more international,” Saarelainen said. “By joining the Centre of Excellence, the Netherlands wishes to actively contribute to the important work of this Centre. We are particularly interested in the exercises and trainings, with the main focus on resilience and response capabilities,” Ms Somsen said. Besides the Netherlands, the participants of the Centre of Excellence include Estonia, Finland, France, Germany, Latvia, Lithuania, Norway, Poland, Spain, Sweden, the United Kingdom and the United States. The Centre closely cooperates with the EU and NATO.